As the Medical Programs Director at VIA, Lina designs learning experiences that aim to cultivate critical thinking, reflection, and cross-cultural empathy among future physicians, including medical school students from Japan, mainland China, and Taiwan. She leads VIA’s two major medical education programs: Medical Exchange and Discovery (MED) and Exploring Health Care (EHC). Prior to joining VIA, Lina spent over 5 years designing and implementing educational programs that invited students and teachers to engage with a variety of viewpoints or ideas they may not have previously considered. As an educator, she is committed to making visible diverse people, places, and perspectives that tend to be marginalized. Having lived in a bilingual English/Japanese household in Tokyo, Singapore, and Manila for 15 years and having visited more than 15 countries, Lina continues to be curious about and mesmerized by the complexity of the world we live in and seeks eye-opening, challenging experiences that sometimes make her uncomfortable (such as volunteering at a farm in Slovenia for two weeks feeding, herding, and milking dozens of goats and sheep). 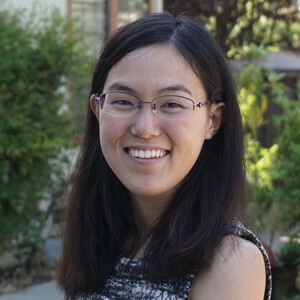 Lina has a bachelors in biology and environmental studies from Oberlin College, a masters degree from the Harvard Graduate School of Education, and a doctorate in education from the University of California, Davis. In her free time, she enjoys traveling, discovering (or stumbling upon) great eateries and especially bakeries, taking long walks, and engaging in deep, one-on-one conversations with friends.